You’ve got self-mailers to fold and seal. Loads of checks, invoices, school reports, tax forms or appointment forms are in your office waiting for you to process. You can speed through the FD 2000 AutoSeal® Low-Volume Pressure Sealer at 7,000 documents per hour. The FD 2000 is waiting for you take advantage of its reliability for an economical solution to department post processing. 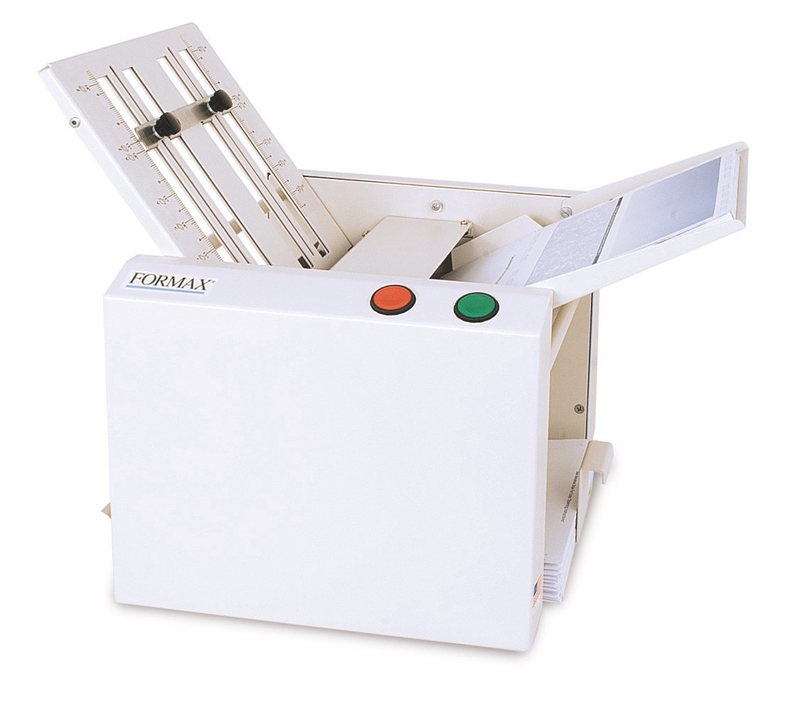 This easy to operate pressure sealer is designed to process pressure sensitive self mailers. The Formax 2000 AutoSeal® will fold the standard Z, the uneven Z, C, half folds and even custom folds of sheets up to 14″ in length. You’ll just drop in your sheets (no fanning required) and the six-digit counter will light up as your job zips through. This model also features a noise reduction casing so the Formax 2000 AutoSeal® Low-Volume Pressure Sealer doesn’t add too much to the buzz of your office space. This model has a couple options that could make your processing even more efficient. You can add a 4′ or 18″ conveyor with a Photo Eye for neat and sequential stacking. You could also add the 400 series jogger to remove static electricity and align your forms — forms that you could store in the optional locking cabinet that serves as a perfect base for the entire unit. The Formax 2000 AutoSeal® Low-Volume Pressure Sealer is $6,095 at Lloyd’s. We’ll throw in free shipping and a gift with your purchase. For more information on the FD 2000 AutoSeal® Sealer or to place an order, please visit the Lloyd’s website. Previous Post:Which Cutter is Best?